Are you looking to sell a home in Winnipeg? We can help! We buy houses in all conditions, no repairs required. There is no pressure or obligation to accept our offers. We do not charge any commissions or fees for our service! It was fast and efficient working with Jill and her husband. They were able to make me a quick offer on my home in St James after our first meeting and i accepted. With the fast possession date i was able to get my money for the house and move on quick. I would work with them again. Simply give us a quick call or fill out the form above and provide us with a few details about your property. We will call you within 48 hours to discuss the details of your property or arrange an appointment to view your house. We will make you a fair cash offer. In the event that you like our offer, we can close at a time that you choose. If you need to sell right away, we can pay cash and close quickly. 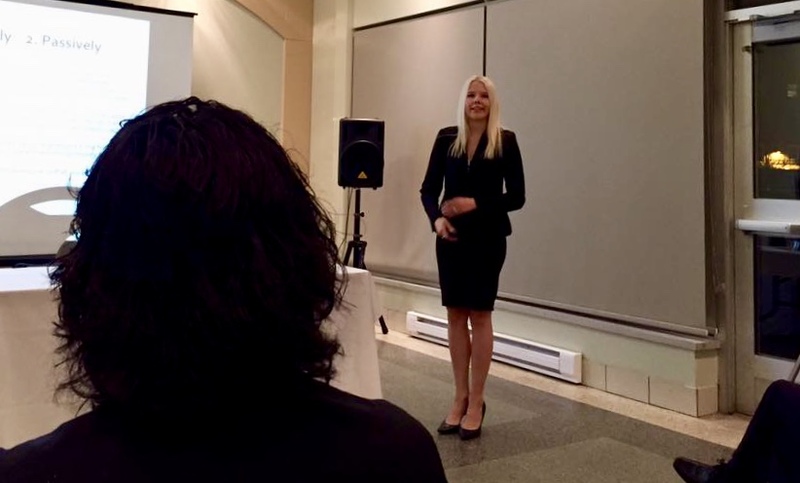 Jillian Rukhra is the founder of She Buys Houses Inc. A Professional Real Estate Investor, Entrepreneur, Public Speaker and Executive Coach for Manitoba’s largest real estate training academy, Team Made Real Estate Inc. Along with her husband they have been investing in the Winnipeg real estate market since 2008. They pride themselves on working along side with home owners to purchase they're unwanted properties. If you are considering selling your property “As Is” in its current condition and you would like to avoid expensive real estate commissions or the worry of costly maintenance and repairs then we would love to hear from you. We believe we can exceed your expectations with our simple 3 step approach to buying properties. We specialize in helping homeowners who are faced with difficult situations such as foreclosure, bankruptcy, divorce or the inheritance of an unwanted property find a win-win solution allowing them to close a difficult chapter and move on with their lives. We are here for you to answer any questions you may have about our services or the process of selling your house privately. You may contact us at your earliest convenience or continue visiting our website to receive a free cash offer for your home. Thank you so much for your time and consideration. Hover to see what it used to look like! Manjit and Jill were great to work with. They met with my mother and I, who i own the home with several times to agree on a sale price and get signatures until the offer was accepted and sent to our lawyer. We would recommend them to anyone looking for professional investors to sell there home too! After my wife passed away i found it very hard to manage our duplex until i contacted Jill about selling the home. She was a pleasure to deal with and made me an offer that i was comfortable with. She also referred me to a trusted lawyer and covered my lawyer costs and came through on her promise. I would refer anyone looking to sell their home who doesn't want to pay a commission for selling it! I've been part of a few home re-marketing projects with Jill and her team. From our very first encounter, Jill has been a pleasure to work with. I believe the way someone handles their business shows the character of a person, and this high level of quality is very much the case with Jill. Projects were appropriately budgeted, potential job-site issues were correctly resolved, all paperwork done by the book, and all projects sold right on schedule for top dollar. Nothing was left to chance, no corners cut, and the level of professional transparency was refreshing. I wouldn't hesitate to do more projects together in the future. I’m considering selling my property. What are the next steps? Fill in the “Receive an Offer” form on our home page and one of our team members will contact you within 48 hours. Sometimes, we will need to gather additional information. We will research your property and go over everything with you. We may be able to make you an offer right over the phone, or we may schedule a time with you to view the property and make you an offer! We buy houses in Winnipeg, Manitoba. We buy houses in any condition, any price range, and any situation! We will buy your house as-is and handle all of the repairs! We often work with homeowners who are experiencing a divorce, job loss or transfer, behind on payments, facing foreclosure, inherited a house or tired of tenants. We even buy houses that are fire-damaged or need to be torn down. We are not realtors. We are private homebuyers looking to buy real estate. We never charge any commissions or fees when we buy your property! Alternatively if listing your property makes sense then we can connect you with an experienced licensed realtor. No! Our service is free! We do not charge any fees for talking about your situation, meeting with you, making you an offer or buying your home. Am I obligated to sell my property if I fill out your form? Not at all! We simply review the form, make you an offer, and you can choose to accept or reject our offer without any pressure or obligation. If I know of a property you may want to buy, do you pay for referrals? Yes! If you know someone looking to sell their home please refer them to us! Remember, we buy houses in all areas, all conditions, and all situations. You may provide us with the property owner’s information so that we can contact them and make them an offer. We pay up to $1000 for any referral that results in an accepted offer. Please reach out to us for more information. Give us a call or send us a message with your questions and we’ll be happy to help you! Thanks for checking out our website. To get in touch with us ASAP please call 204-995-2274 or leave us a message by filling out the form below. © 2019 She Buys Houses | Built & Maintained by Performance ProSites Inc.